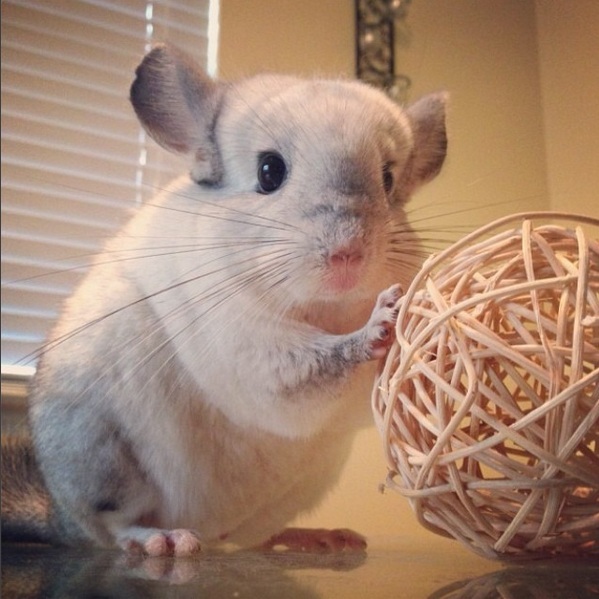 Being a chinchilla doesn't necessary mean you will not be loved as a pet. We agree some people are not in a good mood to keep animals other than cats and dogs in their house, but that is not always the case. Some chinchillas are just lucky, and they enjoy all the luxury in their lives. It is not hard to introduce someone if half of the job is already done. 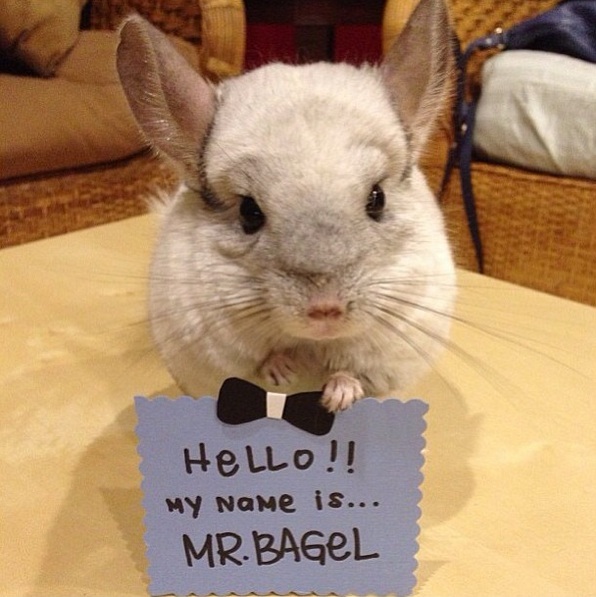 Yes, you are right, this is Mr. Bagel, a cute little pet that will come into your life like a blessing, and stay there as long as you like. If you even need a lovely dose of daily cuteness, you can find it at his Instagram profile whenever you need him to make you smile. 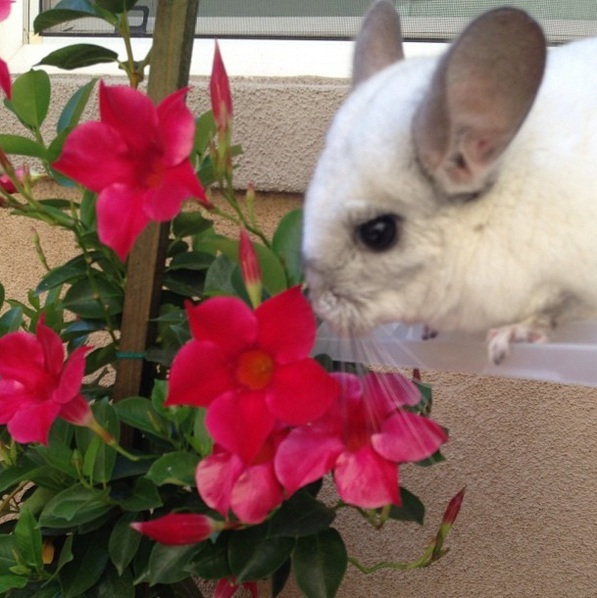 When you see this cute animal around the flowers, you might think of Bagel as if he was very calm and quiet chinchilla. Are you sure your thoughts are right? What if you are wrong and at the end, we find out he's not really such an angel? However, things are not always as they look like at first sight. Just when you look at the next photo, you will realize that you were wrong and that Mr. Bagel is full of energy. He likes to play around with toys, and this cute ball is only the first step that leads you through his adventures. 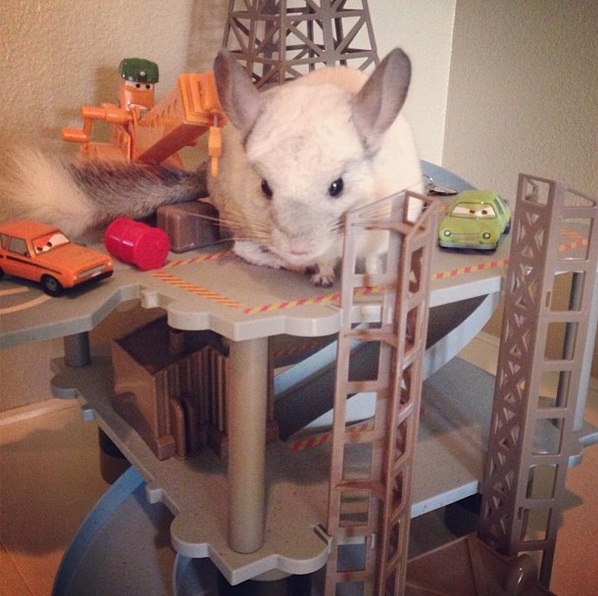 This chinchilla lives in a world full of toys, like in the toy shop. That is because his parents take care of him all the time and they enjoy his happiness. Small plastic castles and hiding places are only some of the equipment. Have you ever seen such a small bicycle? 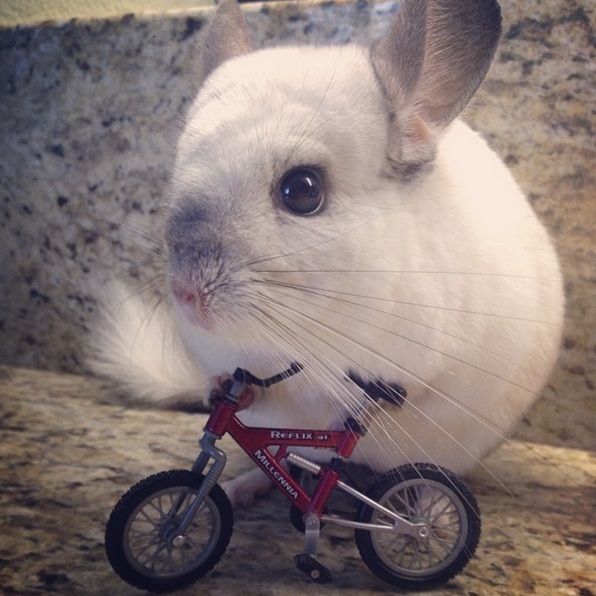 We are burning from desire to see how this little chinchilla rides this bike around. Don't you think it would be great if some video appeared on Instagram soon?